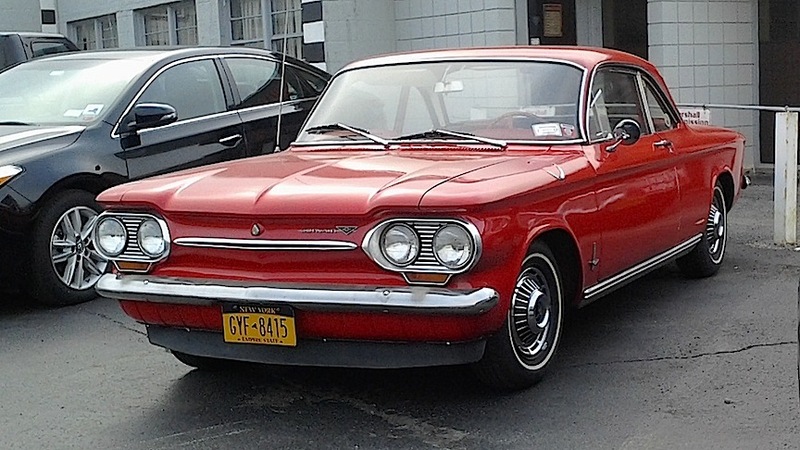 Been seeing a lot of these lately, but this 1963 Chevy Corvair Monza may be one of the nicest-looking examples around. For model year 1963, the Corvair was available in the 500, 700, and Monza series. The Monza was available in club coupe, four-door sedan, and convertible variations (not to mention the Greenbrier van); and a Spyder option was available for both two-doors. Saw this red club coupe a couple of weeks ago in Niagara Falls. Jim Corbran, RRofWNY …and check out our Facebook page: Un-American Classic Cars The post RealRides of WNY appeared first on Buffalo Cars.